Seagate SSHD drives combine the performance of an SSD and a HDD to boost your PC in one drive. The 8GB Flash memory allows your PC to learn how you use your computer and uses cache memory to boost the performance. The more you use a program the faster the drive will get. The flash memory allows you speeds of upto 5x a normal HDD drive. - Flash-accelerated technology delivers blazing load speeds that allow for nonstop performance, play and productivity up to 5× faster than standard HDDs. - Enormous 500 GB, 1 TB and 2 TB options make FireCuda the highest-capacity 2.5-inch hard drive on the market, providing customers a high-performance experience while being able to store massive amounts of data, all within a thin 7mm z-Height. 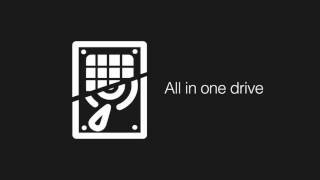 - Green Hybrid™ feature reduces device power consumption, helping users extend their drive’s life and keep their costs down with a power-efficient drive. - Multi-Tier Caching Technology™ (MTC) enhances performance by using NAND flash, DRAM and media caching technologies, enabling users to load applications and files even faster. - Adaptive Memory™ technology identifies frequently accessed data, thereby providing the data faster, consuming less power and extending drive life. - The cutting edge never felt so safe — 5-year limited warranty is best-in-class for hard drive warranties. More links for "1TB FireCuda 2.5" 5400RPM SSHD Internal Hard Drive For PC and PS4 (ST1000LX015)"
2400MHz RAM Speed, CAS 11-13-13-35 Timings, 1.55-1.65v VDIMM, Lifetime Warranty with OcUK.